The customer service industry has changed for the better with the rise of cloud technology. Improved processing power and greater portability can help connected devices shave the seconds off wait times, create new opportunities for self-service points and even monitor customer satisfaction in real-time. 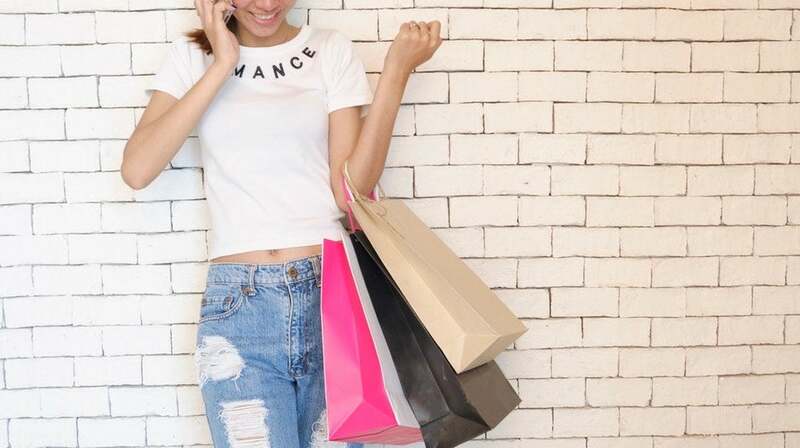 Thanks to these developments, customers are developing new service expectations from the businesses they use, so it’s important to keep up to date with these improvements to understand how your business can capitalize on new technology and find simple ways to improve customer service, customer loyalty and ultimately, profits. Most POS systems give you the functionality to monitor stock, track sales and pull reports. Only a powerful and portable POS system like an iPad POS system can deliver the customer experience you need to wow your customers and the simplicity and versatility that makes the system easy to implement for your business. No matter what industry you’re in, an iPad POS system will help your team work more flexibly and efficiently. A massive benefit of iPad POS systems is that they work from almost anywhere, so you can setup your payment station wherever will help you provide the best possible in-store experience. Since most people know how to use an iPad already, downtime isn’t an issue with this type of POS system. Even the most technologically challenged customers can quickly make sense of Apple’s user-friendly interface. If a lack of self-service points is a sticking point for your business, you need not worry. Many iPad POS providers offer self-service modes as standard, meaning there’s no need to fork out for additional devices. An iPad is a hassle-free way to let customers serve themselves. Choosing an iPad over a traditional self-service station also comes with the added benefit of freeing up staff to focus on what’s important – delivering exceptional customer service. iPad POS systems are second to none in terms of flexibility. They’re a very popular choice amongst restaurants and cafes because they allow you to serve customers directly from the table. With an iPad POS, waiters don’t have to walk away with a credit card, instead, servers can calculate the bill, split the check, and even accept multiple payment types all at the table. Finally, if you’re operating a pop-up business, it’s likely that you’ll want to offer convenient payment options like contactless NFC and card payments. Working from a mobile device like an iPad also allows you to move your operation from place to place, with minimal disruption to your service. So, you can say goodbye to carrying around bulky equipment. What Makes the Best iPad POS System? Almost all iPad POS systems are set up and run through a mobile app. This makes initial setup and ongoing maintenance incredibly simple and fast, and gets rid of any risk of lengthy downtime at the cost of your bottom line. Using the latest software versions also helps you to futureproof your business by automatically adding new payment types as they emerge. Automatic stock ordering is another reason businesses are flocking to iPad POS systems. When popular items become low in stock, you can have these items delivered automatically, so customers never walk away without the products they want. With an iPad, you can even use the built in camera as a scanner to check the stock of particular items while on the go. Store management should be as simple as possible and your POS should offer you the ability to run reports and get instant access to valuable data. Whether checking the stock levels for a certain product you carry, or monitoring the total revenue earned, with data behind your decisions, you can be sure you’re offering your customer what they really need. If you’re operating from multiple locations, a cloud based POS system will help you keep everything up to date and in sync. You can stay clued up about how all your locations are performing regardless of where you are. Depending on the software you choose, your POS solution may even come with customer management functionality built in too. Being able to offer perks like digital receipts and subscriptions to your loyalty programmes on the spot, mean your customers have more time to learn about your products and more opportunities to benefit from the deals you offer. To begin serving customers from an iPad, you really only need the device itself to be connected to your POS software. Thanks to the saturation of the tablet market, purchasing an iPad is relatively inexpensive and extremely fast. However, depending on the size and scope of your operation, it’s possible that you’ll also need to consider additional tech and peripherals that could help make your life even easier. While an iPad POS on its own offers a wealth of benefits and features, it’s possible to integrate the system with a number of additional pieces of hardware to get even more from your POS setup. Elevating your iPad on a stand creates a professional station from which to take payments, and in a restaurant environment it also keeps the iPad away from food and drink spillages. Besides a stand, you may need to consider additional hardware like receipt printers, cash drawers and barcode scanners. All of these and more can be integrated with no trouble. iPads are an affordable way to make your business more agile, more professional and more convenient for your customers. There is a huge selection of world-class iPad POS software available on the market today, which means it’s easy to shop around and find the solution that will best fit your business needs. The first thing you have to do is work out what features you need, then match that with the provider that best suits you. Transform your business with an iPad POS system – get quotes today.